The leaves are changing color. The air is crisp. It’s definitely fall in New England! 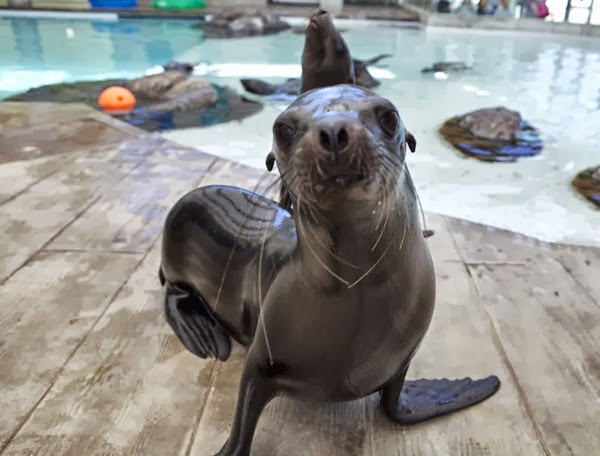 A refreshing breeze blew a couple leaves into the New Balance Foundation Marine Mammal Center with our Northern fur seals and California sea lions. Zoe, a California sea lion, immediately found the perfect new toy. Check out Zoe playing with a leave she found in her exhibit! Check out her acrobatics, see how high she can jump out of the water. Remember snow? The sea lions and young fur seals think it's so much fun! And remember when it was so hot you could do nothing but play in the water?